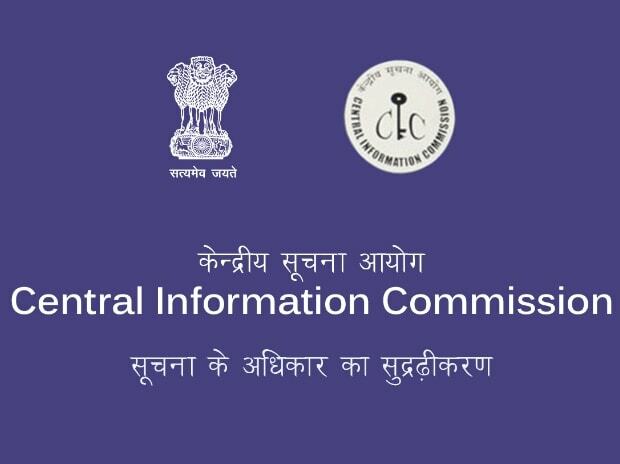 The Central Information Commission will soon approach the government for inclusion of the Chief Information Commissioner and Information Commissioners in the warrant of precedence which gives hierarchy of government functionaries for protocol purposes, officials said. The CIC which is the highest adjudicating body for RTI matters and is entrusted to ensure maintenance of transparency across all government offices does not figure in the warrant of precedence even after 14-years of being set up, they said. The CIC came into being after the Parliament enacted Right to Information Act in 2005. The warrant of precedence is a protocol list in which the government functionaries are listed in hierarchy of their rank and is led by the President followed by the Vice President, the Prime Minister and other officials, they said. According to the RTI Act, the terms and conditions of service of the Chief Information Commissioner is at par with the Chief Election Commissioner while Information Commissioner shall be the same as that of an Election Commissioner. The Chief Election Commissioner is listed at 9A position in the warrant of precedence which was issued on July 26, 1979. The issue was discussed in the meeting of Central Information Commission where go ahead was given to approach "appropriate authorities" for the inclusion of Chief Information Commissioner and Information Commissioners in the warrant of precedence, the officials said. The Supreme Court in a recent judgment on filling the vacancies of Information Commissioners said, "Insofar as terms and conditions of appointment are concerned, no doubt, Section 13(5) of RTI Act states that the CIC and Information Commissioners shall be appointed on the same terms and conditions as applicable to the Chief Election Commissioner/Election Commissioner.